A San Pedro resident is tonight in police custody for discharging a firearm in public… on two pit bulls. Thirty-three-year-old Byron Ashford Evans was today before the court to answer to a single charge of discharging a point thirty-eight revolver while on Tarpon Street in San Pedro Town. Evans has been in police custody since June tenth, but his attorney believes his client’s constitutional rights were violated when the police took days to take him to court. It was not until this morning, six days after his arrest that Evans was taken to the Belize City Magistrate’s Court. Attorney Oscar Selgado told the court that Evans was forced to pull his licensed firearm and shoot at the two pit bull dogs who he claimed attacked Evans. Selgado, quoting the law, told News Five that Evans was acting in protection of his person and that he should have never been charged. The case was adjourned for Tuesday. Last edited by Katie Valk; 06/17/14 05:02 AM. "Well first of all Jules I don't even have a do at home. My yard is well fenced, but I dint even have a dog. The dog in question was my neighbor's dog and indeed the dog has always been out of the yard and so I think If I recall it has bitten about 4-5 persons. The only things that I saw with this one is discharging the firearm in public, but other than that I think that the guy have a right to defend himself. The guy is my friend, if he is wrong he is wrong, but in this particular case, I know his wife. Just Tuesday night his wife came to see me, she says 'minister it is not us who is saying that,' she says it's the PUPs coming out with these lies about you because we know you well and I am coming today to ask for a favor, not concerning her husband but in other things that is private - the lady crying. She says she knows us well and people are talking that way. She says she knows the dog is not your and she knows you are not the one incarcerating my husband. They are my people Jules and I have to love them." A San Pedro man appeared in Belize City Magistrate’s Court charged with discharging a firearm within 40 yards of a public road. But he claims that he was doing it to protect himself from two pitbulls who came after him. The man is 33 year old cabinetmaker Byron Evans and the dogs are owned by a neighbor of Minister of Tourism Manuel Heredia, Jr., who just recently returned to the country from Cannes, France. Evans was walking on Tarpon Street near the Minister’s residence on June 10 around 6:00 p.m. to pick up his wife when the two dogs came after him and he shot at them with his licensed .38 revolver which he had on him at the time. Police elected to charge Evans but attorney Oscar Selgado insists that his client is protected by Section 40 (1) (a) of the Firearms Act which allows for use of a firearm in self-defense, and should not have been charged. Selgado has taken the case to Director of Public Prosecutions Cheryl-Lynn Vidal and she ordered via a memorandum today that Evans be freed. 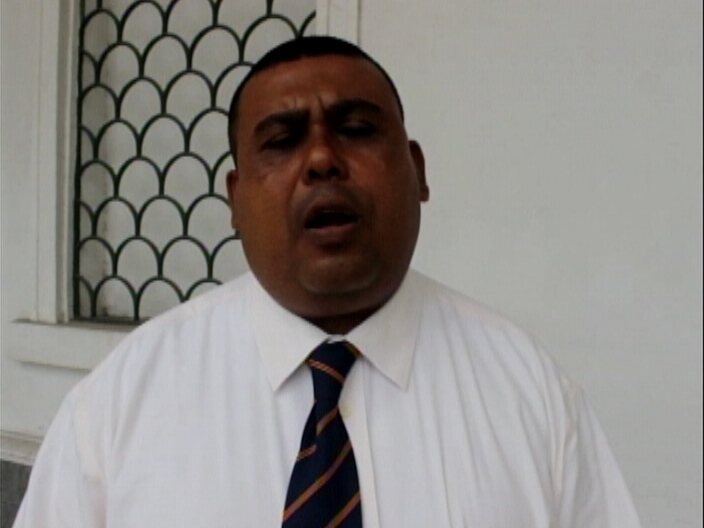 But this afternoon when we spoke to Selgado at court he said police in San Pedro have refused to let his client go. Selgado says officer in charge on the island, Superintendent Luis Castellanos, is aware of the memorandum which was faxed at 12:10 p.m. and officially received but neither he nor his colleagues on the mainland have moved to right the state of affairs. He had appealed to the in-house attorney and head of the prosecution branch, respectively Donelle Hawke and Inspector Carol Tucker, but neither indicated that they could do anything. Evans returns to court on Monday where Chief Magistrate Ann-Marie Smith is expected to order Evans’ removal from the Central Prison at Hattieville. Selgado says he will talk to his client about potentially suing the authorities for spending ten days in jail as of today due to the “unlawful and arbitrary behavior” of San Pedro police. Meanwhile, we asked about the comments of Minister Heredia on the matter. Selgado says it has not been established whose dogs were involved – the Minister says he does not own any – but the issue at fault is that they were not properly secured and were known to be aggressive. 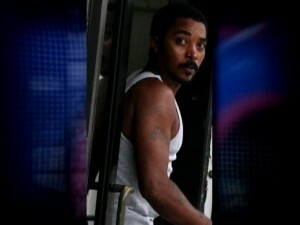 33 year-old San Pedro Resident, Byron Evans, who as accused of irresponsibly shooting at a dog in public, was allowed to go home a free man after the charge was withdrawn today. 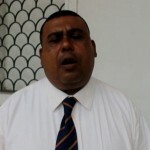 As we told you, on June 10, while he was on Tarpon Street in San Pedro, when Evans fired shots after he was attacked by 2 Pit Bulls that belonged to a neighbor of the Minister of Tourism, Hon. 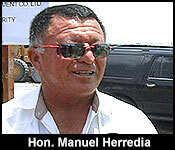 Manuel Heredia. He did it in self defense with a licensed firearm, but the gun he was remanded against the objections of his attorney. When he came back today before Magistrate Dale Cayetano, the charge of discharging a firearm in public was withdrawn on instructions from the Director of Public Prosecutions, Cheryl-Lynn Vidal. Evans, who was represented by attorney Oscar Selgado, said he is going to file a lawsuit for unlawful detention and prosecution.